Paul Ilechko is the author of the chapbooks Bartok in Winter (Flutter Press) and Graph of Life (Finishing Line Press). His work has appeared in a variety of journals, including Stickman Review, Mocking Heart Review, Into the Void Magazine, and Dime Show Review. He lives in Lambertville, NJ. Photographer’s Note: When I read this poem I thought of this photo. I love old buildings and barns that are falling down yet still somehow standing. 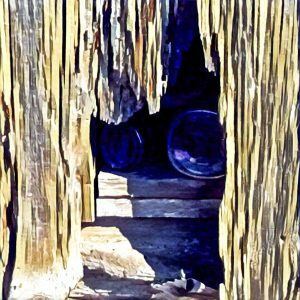 This shack showed hints of past lives, a kind of archive.